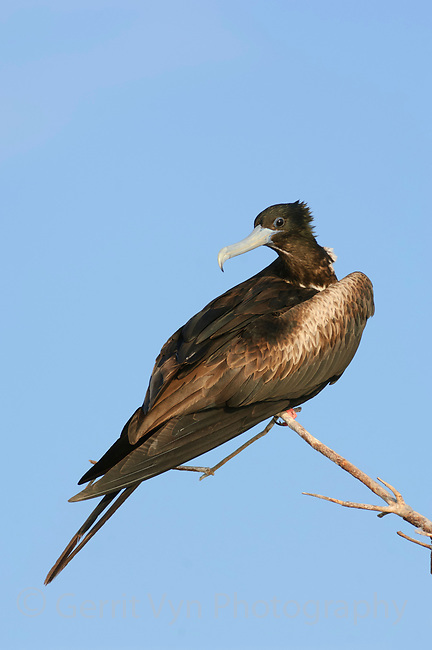 Adult female Magnificent Frigatebird (Fregata magnificens) perched at breeding colony. Dry Tortugas NP, Florida. March.